What does precision tune-up include? To answer this question, AC precision tune up is a service which goes beyond standard tune-up. The technician begins by assessing the needs of the air conditioner with the inspection of the AC and all the included components. From there, various different services will be carried out to keep the device functional like new. In this task, the technician will check and then perfect the coolant levels of the conditioner, calibrate and clean the thermostats, inspection and fixing old wiring, and then clean the compressor. Additionally, the old filters will undergo replacement and new ones installed. Moving parts will undergo lubrication, and hoses, drains, and tubing will be inspected for cleaning. Finally, you will inspect the housing of the air conditioner for cleaning, making sure that debris and leaves are not clogging and making the system inefficient. Precision tune-ups have to be carried out according to the set schedule. You need to contact the manufacturer to get the right schedule for the conditioner, because when regularly conducted, it saves money in the long run. Units of the air conditioner need regular upkeep so as to maintain the desired working conditions. If you do not take good care for them, higher costs of energy and expensive repairs will be your unfortunate reality. Prevent these expenses and save money on bills with the right AC precision tune up service. What is involved in this service? If you do not already know this, regular maintenance for air conditioning and heating system is very crucial. The technical people who do not realize this are those with unexpected system breakdown, which leaves them minus any air conditioning or heating during uncomfortable times of the year. For a minimal cost, it will cost you to schedule professional tune-up, return on investment can be high. Apart from helping in avoiding unexpected tune-ups, breakdowns and crucial for helping the unit to recover lost efficiency, increase the lifespan of the unit, reduce the cost of expenses, improve overall comfort levels, and operate safely. You need to inspect your system at least once each year. What is needed in the tune-up? Comprehensive cleaning of condenser coils is crucial. Doing this will increase efficiency and may reduce wear and tear on the system. Evaluation of the levels of the coolant will help in maintaining peak performance. Lubrication for movable parts will remove friction and wear that may increase costs of energy. These are some standard AC precision tune up checks to ensure reliable performance of the HVAC. A technician needs to provide the full twenty-six check-up that ensures that the efficient is operating reliably and efficiently. It is said that one ounce of prevention is worth one cure pound. The same idea is true for the home air conditioning system. While it may be true that newfangled AC units of today are reliable that you would have to leave them, then they will require periodic maintenance for making them stay in a perfect shape. 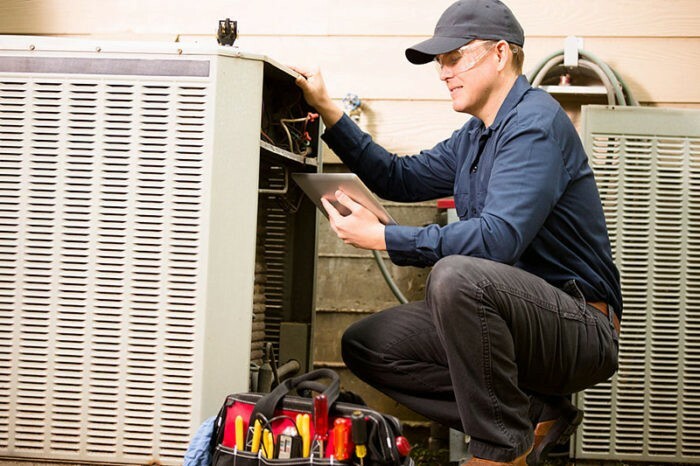 Regular AC precision tune up will save money after long periods as it can offer you assurance that the unit will not break down at any time and you will need expensive repairs. The AC unit can last for long, but you have to perform maintenance on a regular basis. Take the role of maintenance for granted and you can are sure to spend so much in repairs after some time. Therefore, get the best tune up service for your HVAC air conditioner to access the best results from the machine.